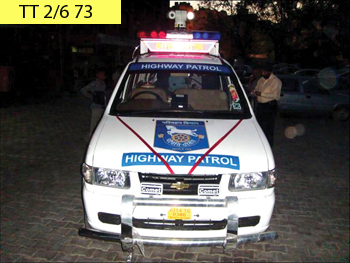 Mobile Traffic Violation Enforcement Vehicle from Turbo Consultancy Services Pvt Ltd is a mobile, laser based speed detection system. 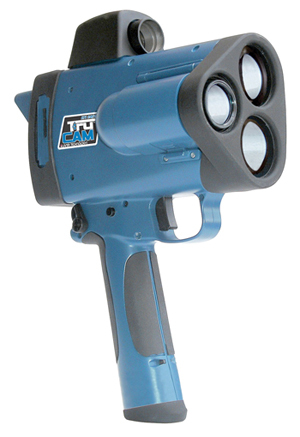 Fixed laser speed detection systems cannot detect the speed of vehicles accurately beyond a distance of about 1000m due to the fact that as the light emitted by laser speed gun travels farther, the cone diameter of the laser beam increases and it is not possible to exactly pinpoint the speeding vehicle. Further, with increased zoom at distances greater than 1200m, the picture of the vehicle obtained is hazy. The mobile system does not have such limitations. It is able to record still pictures as well as video clips of the offending vehicles. Speeds ranging from 0 to 300km/hr can be measured with an accuracy of ± 2km /hr. It has a secondary roof-mounted day-night, all weather 3.1MP PTZ (Pan. Tilt, Zoom) camera system with a digital video recorder and keyboard. The system is able to read licence plates of target vehicles from at least a distance of 80m. It has an infrared illuminator due to which it is able to precisely monitor vehicle speeds during night even at distances greater than 70 metres. All captured data is stored on removable SD cards of 4GB or greater storage capacity. Cases of drunken driving can be checked with the breath alcohol analyser on the vehicle. The inkjet printer allows the system to print traffic challans on the spot. An automatic laser avoidance jammer prevents motorists from jamming the enforcement vehicle. The rechargeable battery provides up to 15 hours of continuous operation. Tagged with: Breath Alcohol Analyser Laser speed gun Speed detection system Turbo Consultancy Services Pvt Ltd.